project has been approached and also in the parallels between refugee experiences after the Second World War and those who have been recently displaced. We are delighted to have extended our Project’s connection to a new academic environment. Reunited at University of Brighton! 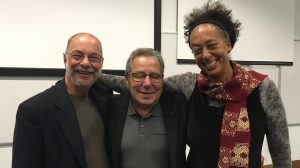 Len & Will were delighted to have Dr Yaa Asare in the audience. Yaa is the daughter of the long-time cook at the Pestalozzi Children’s Village during the 1960s. Our visit was made even more special by the attendance of the University’s Dr Yaa Asare. Yaa is a life-long friend of the early Pestalozzi children and daughter of a wonderful lady, Irmgard Pollack, who was the Pestalozzi cook (and much more) in those early days. Our appreciation goes to Heritage Lottery Fund which, through their Sharing Heritage grant, have enabled us to travel to and engage in this seminar. Our October visit to Pestalozzi last week included attending a “Business Meets Students” gathering at the Oaklands Park charity. Organised by PIVT Trustee, Graham Card, new Pestalozzi students met with a group of five business people who introduced them to the idea and benefits of networking. Each person was given a minute to introduce themselves – with the exception of ourselves: due to our vast ages, we were both given a little extra time to speak! 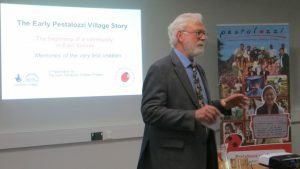 Monday, 24th October 2016 was a special moment – for both the Early Pestalozzi Children Project and the Pestalozzi International Village Trust (PIVT). 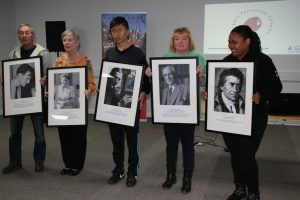 This year, PIVT introduced “Founders’ Day” – as an annual celebration of the establishment and origin of their charity. The date was selected for having been the Village’s inaugural Foundation Day in 1960. William and Len attended and made their annual presentation to new students about the history of the Village. An unprecedented audience of almost 80 people included a former Claverham County Secondary School PE teacher, Lee Smith (who will be remembered as Miss Cave/Mrs Edwards) and a former Pestalozzi volunteer house assistant, Mike Neighbour (from 1965). Six of our “early Pestalozzi” group were also present. The celebration was also attended by Dr Craig Fees, RMARA, Archivist at the Planned Environment Therapy Trust (PETT). 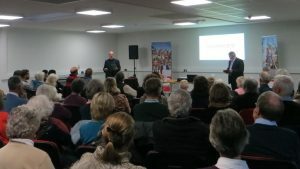 Craig spoke generously about the Early Pestalozzi Children Project and its importance to the annals of a unique charity. Eric Bourne (first Warden of the Pestalozzi Children’s Village). Each of hese five people were, in their own ways, truly significant to the organisation during in its early years. The framed images were proudly displayed and hung by former early Pestalozzi children and current PIVT students. The night concluded with a delicious dinner in Swiss Hall. Our thanks go to the PIVT staff for arranging an excellent celebration; to Dr Craig Fees and Fiona Fees for their presence and kind words; to the catering staff for the delicious meal; to the PIVT students for their warm welcome and organisational skills – and to the evening’s audience for expressing their enthusiastic interest. A special thank you goes to our early Pestalozzi family who have been so generous in their appreciation of our efforts. 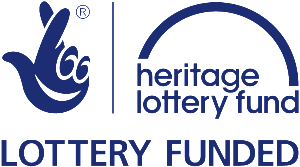 The Early Pestalozzi Children Project is grateful for the support of the Heritage Lottery Fund for their Sharing Heritage grant. This grant enabled us to finance this presentation and the the display which we donated to the Pestalozzi International Village Trust.